Today we are here with a new age app called Swipe and Share App. You might be thinking what it can do & what are its function, whether it will run on all Android device or some specific one?. 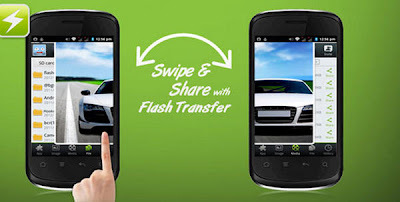 This Swipe & Share App can share files b/w Androids with just one swipe of your finger, also know as Flash Transfer Apk.World is really moving too fast, there was a time when Infrared was rocking the floor, then come Bluetooth. No doubt most of us still using Bluetooth as a medium to transfer files , song, video, app, games etc from one mobile to another. But now something new has hit the market its Flash Transfer.apk, wait don’t think it need flash player to work on. It just named as flash transfer.apk because of it working ability. 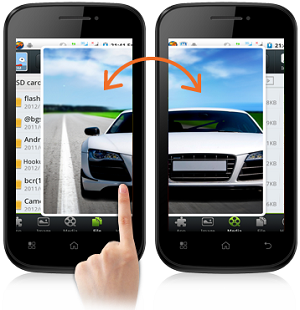 This app can be used to share files between Android device with just one swipe of your fingure. No need to open & close bluetooth again & again. No Need of any kind data charge to transfer files over internet. No need of wifi anymore. Just all you need to do is a SWIPE &call DONE .